Colchester is one of the most popular towns in Essex for good reason. The combination of centuries-old architecture with the vibrancy of a fast-growing town centre is hard to resist. Colchester has many points in its favour, making it attractive to home buyers, from shopping to leisure facilities, transport to sports. For example, the high street has a range of different style of shops from chain stores to independent properties selling everything from bread to jewellery. A range of bars, restaurants and cafes broaden out the offering, making it possible to spend the day in the centre with family or friends. For sports fans there is Colchester United Football Club, and for people that want to get a bit of fresh air there are parks and open spaces such as Castle Park – with Colchester Castle – and Highwoods County Park close by. Colchester has good state and private schools as well as the University of Essex for further education. 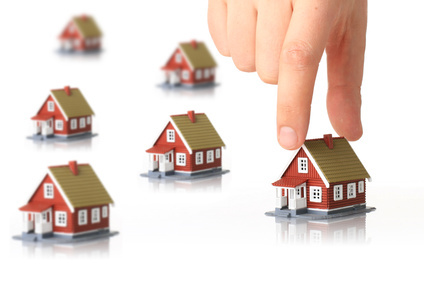 How do you choose which property to buy in the town of Colchester? Take a look at these three tips. 1. New or Old House? Consider whether you want to move straight into a house that is decorated to a high standard, with up-to-date heating and lighting and practically nothing to do but set up your furniture, or whether you want a property with more character and more room for renovation and putting your own stamp on the home. New homes have advantages but they are often more expensive, while older homes may come with expensive needs for refurbishments. Whichever type of home you look at, you’ll need a survey – new homes may be badly built so you must check these properties too. The most obvious decision is whether you want to live in a flat or a house but there are also considerations to be made regarding the type of property, for example semi-detached or detached? Purpose-built flat or a conversion? Consider your needs for privacy as well as space, and how important it is to have a parking space or a garage, or a property with character and lots of space outside. Take a look at the range of property available at http://beresfordsgroup.co.uk/ to make an informed decision. If it is important to you to have easy links to London, or to certain schools or offices in the centre of town, the location of the property will be of upmost importance. Colchester has very good transport links to the capital, with a mainline railway station serving London Liverpool Street in 50 minutes and good road links like the A12 and the A120. Depending on whether you need to quickly access the station or the road links, look at properties within easy driving or walking distance from the transport hubs. However, if you have your own car and you work close by then it may not be as important to be close to the station or the major road junctions, and you can choose a more peaceful location on the outskirts of town. Surrounding Colchester is some stunning countryside so if you are looking for a place where you can get close to nature then it is worth looking at properties in the surrounding villages or within easy reach of the coast.